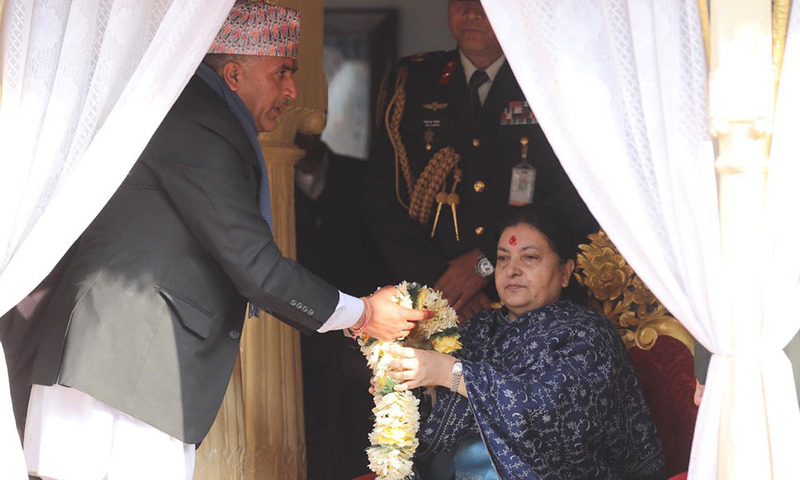 President Bidhya Devi Bhandari attended Basanta Shrawan ritual as part of Basantami Panchami festival—also known as Saraswati Puja—at Hanumandhoka Drubar Square in the Capital on Sunday. 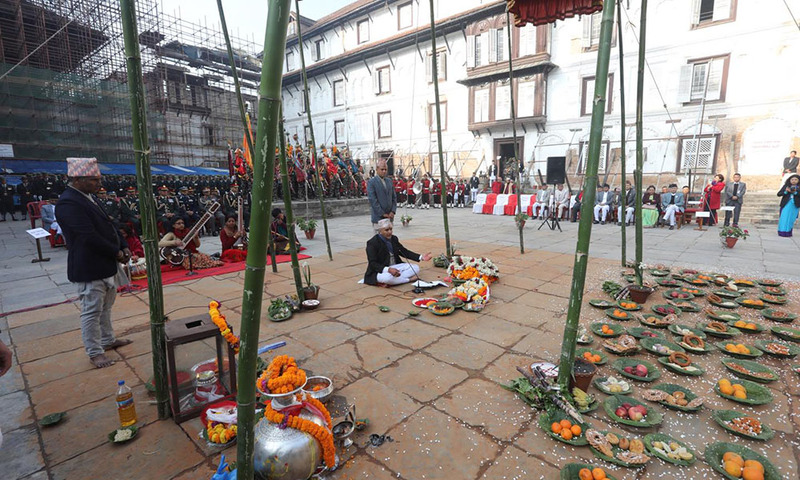 The Basanta Shrawan ritual was observed at the auspicious hour of 8:24 am. 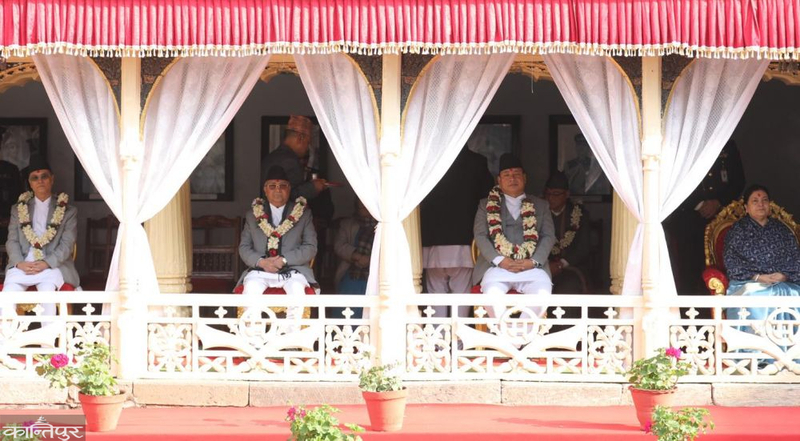 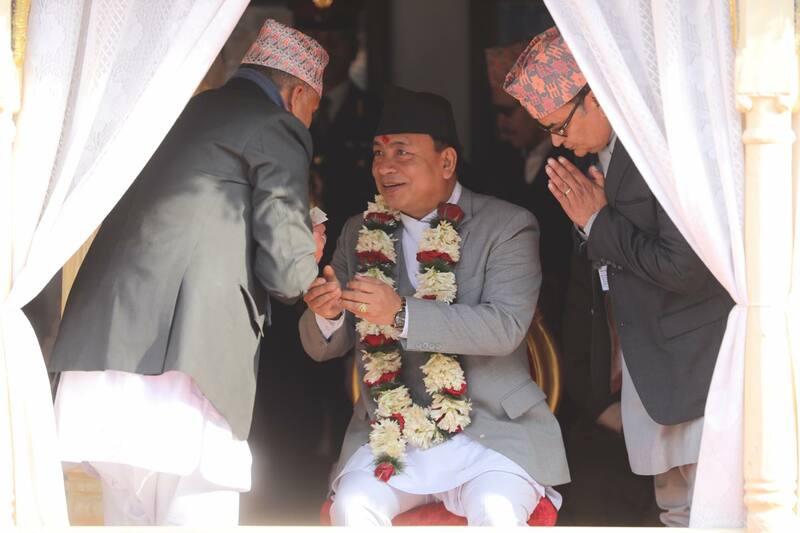 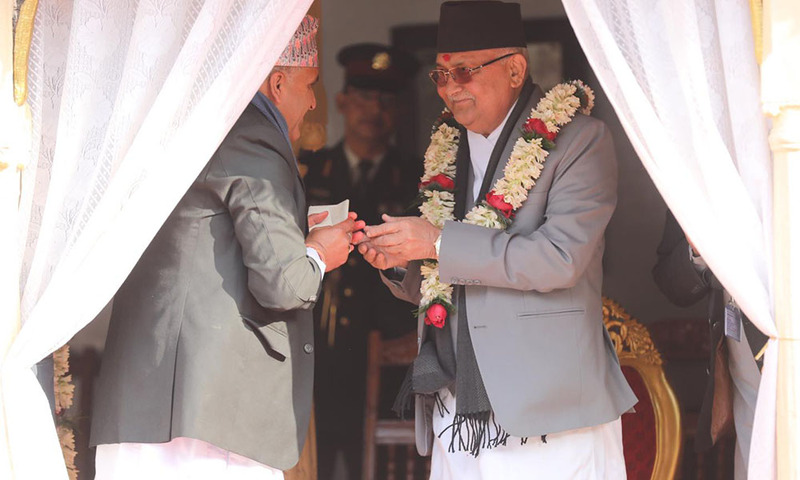 Vice-president Nanda Bahadur Pun, Prime Minister KP Sharma Oli and Chief Justice Cholendra Sumsher Rana also attended the Basanta Shrawan ritual and received Tika, garland, and offered food on the occasion. 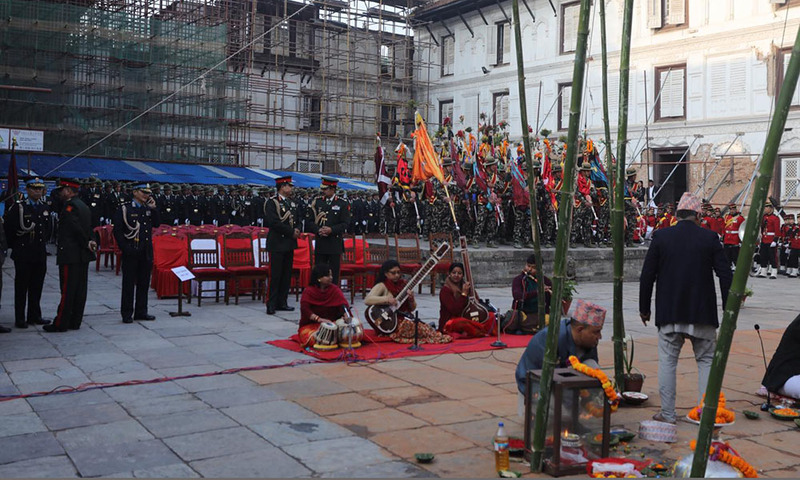 Also present at the function were various ministers, chiefs of Nepal Army and Nepal Police and mayor of Kathmandu Metropolis.